Being overweight can drastically reduce your quality of life, increase your risk for chronic diseases, and negatively impact the way you feel about yourself. 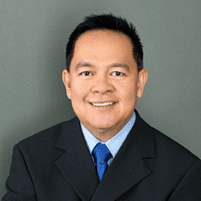 If you’re tired of paying for fad diets that don’t work long-term, call Dr. Gilbert Sunio at Sunmed Health and Weight Management in Visalia, California, to find out more about his proven weight loss program. You can also book an appointment online. How is Sunmed weight loss unique? Customizing weight loss plans creates long-term healthy lifestyle habits, not just a short-term fix. Dr. Sunio provides motivational coaching and science-based recommendations in his weight loss program, which is why it’s so effective. Sunmed weight loss is different from fad diets and other “quick fix” programs because Dr. Sunio creates meal plans based on your metabolism, activity level, hormone levels, medications, medical conditions you have, and food preferences. Not all diets work to combat obesity, as many patients find it difficult to follow rapid weight loss plans for more than a few weeks. Physician-supervised programs are a safe way to treat obesity, with proven methods that get real results. Dr. Sunio can help you safely use meal replacements, appetite suppressants, exercise programs, and behavioral counseling to make your weight loss journey a success. He’ll monitor your hormone levels and overall health markers to ensure your individualized plan is working safely and effectively. Meal replacements are included in weight loss programs for various reasons. These nutrition shakes or bars are loaded with nutrients your body needs to function on a day-to-day basis. You can replace a meal or two each day with meal replacements to take the guesswork out of counting calories. Keeping you accountable with regular meetings, phone calls, or weekly weigh-ins through behavioral counseling sessions is an effective strategy that works well for many people who have struggled to lose weight on their own. What results will I get from Sunmed weight loss? If you’re tired of failed weight loss attempts and are ready to make a long-term commitment to better health, call Sunmed Health and Weight Management to get started or book your appointment online today.